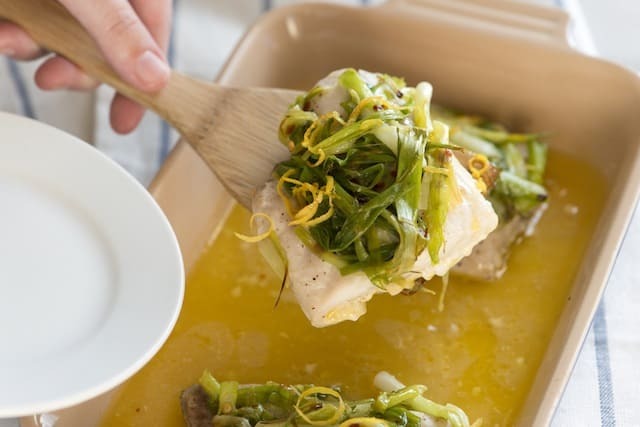 How to make perfectly baked fish with scallions and orange. 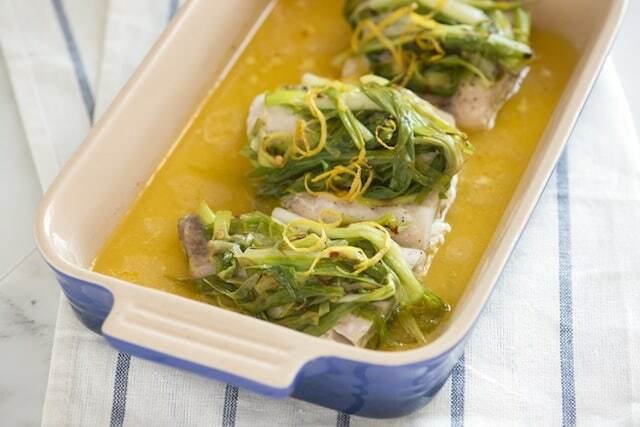 Jump to the Baked Fish Recipe with Scallions or read on to see our tips for making it. We love this easy fish recipe. 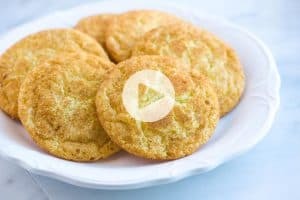 It doesn’t call for lots of ingredients and is very quick to make. 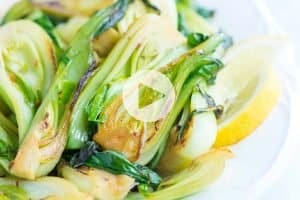 Scallions (or spring onions) are a big part of the recipe. So often we see scallions used as a finishing touch, but they can be used for so much more — they’re mild, not pungent and when you cook them, they turn sweet, gently wilted and tender. YOU MAY ALSO LIKE: How to make moist and tender baked salmon in less than 30 minutes. 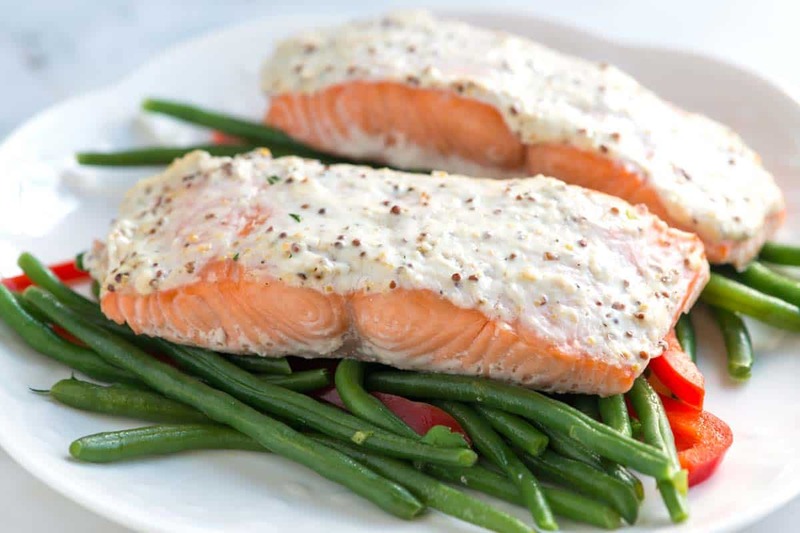 Jump to the Sour Cream Baked Salmon Recipe. Look for a firm white fish for this — rockfish, striped bass or halibut are all excellent. You will also need scallions, fresh orange juice, red pepper flakes, lemon zest and butter. To make make it, start by cooking thinly sliced scallions until wilted and starting to brown. 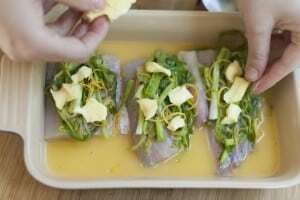 Season the fish, add to a baking dish, and then top with the cooked scallions. Scatter lemon zest, and a few dabs of butter on top then pour fresh orange juice into the pan. Cover the dish with foil and bake. 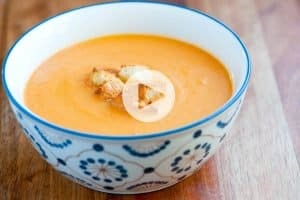 After about 15 minutes the fish will be perfectly cooked and the butter will have melted down into the orange juice, creating a silky broth. 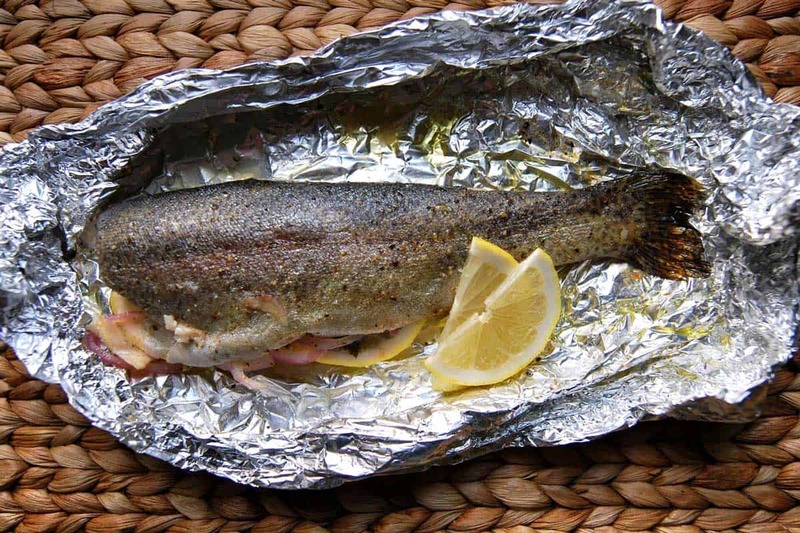 YOU MAY ALSO LIKE: How to make oven baked trout in foil packets. Jump to the Easy Oven Baked Trout Recipe. If you can, use fresh squeezed orange juice for this. One large orange should do it. For the fish, choose a firm white fish — we particularly like halibut, striped bass and rockfish. Discard the first 2 inches from the top of each scallion. Cut scallions in half crosswise and thinly slice them lengthwise into strips. Heat the olive oil in a skillet over medium heat. Add the spring onions, red pepper flakes and a pinch of salt. Cook, stirring occasionally, until the scallions are wilted and begin to brown. Season fish on both sides with salt and fresh ground pepper then place, in one layer, into a baking dish. Divide the cooked scallions between the tops of each piece of fish. Scatter lemon zest over scallions then cut the butter into small squares and place on top. Pour the orange juice around the fish then cover the pan with aluminum foil. Bake until the fish is opaque throughout, 15 to 18 minutes, depending on thickness of the fish. that sounds like it would just melt in your mouth…. It does! Definitely one of our favorite easy fish recipes on the site! 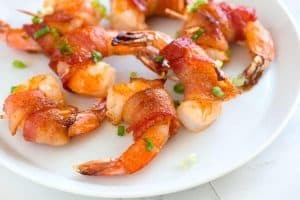 Excellent fish recipe. The addition of orange is extra special.